Winter beach walks on Anglesey. Some evenings you could be mistake for being absolutely anywhere other than Anglesey. With beautiful setting sun scapes dressing the skies in Malibu colors, you could be excused for thinking your in the tropics (aside from the temperatures!). With the nice gentle easterly winds and high pressures this Time of year it is a welcome time to explore the beaches for sunset walks on the west side of Anglesey. This evening we took a walk to Porth Nobler near Rhosniger, what a treat it was to see the skies as below in the picture! 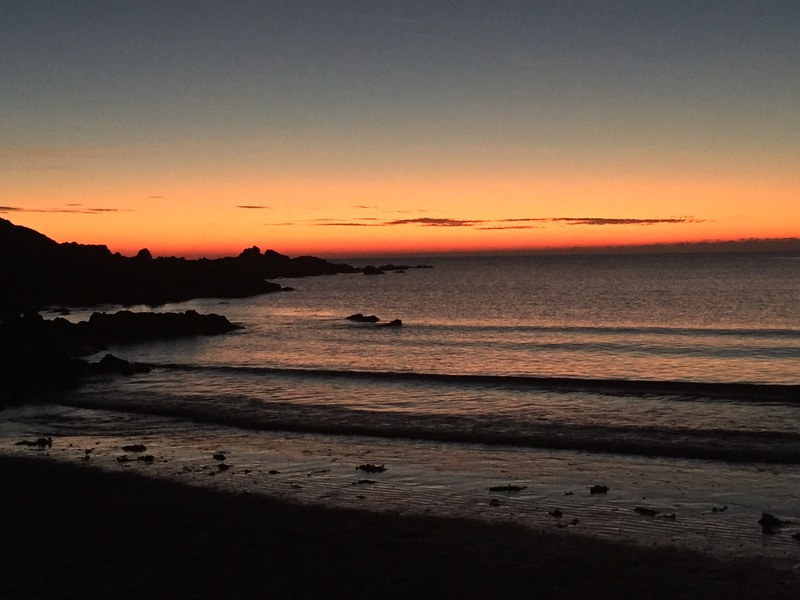 Top pics for Sunset beach walks include treaddur bay, Rhoscolyn beach and Rhosneiger beach. Each providing a delightful westerly facing direction for the snappers among you for the setting sun pics! Many photographers and walkers alike. Frequent the beaches near Rhosniger. Wrap up warm and and enjoy!